Large projects (such as Power Plants) require on-site inspectors at the manufacturing site to ensure that outgoing shipments meet the original requirement specifications. If a manufactured item is found to meet the original specifications and quality constraints it receives approval for final shipment to the site. This is often referred to as a Manufacturing Dispatch Clearance Certificate or MDCC. 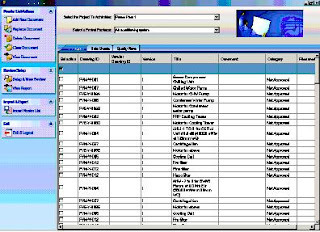 PTS provides a web-based interface for each site inspector to enter the inspection status for each manufactured part that is about to be shipped. Each part is then compared to the corresponding activity in the Project Plan. If the inspection and/or shipment gets delayed PTS automatically raises a warning that corresponds to the activity in the Project Plan. This post is the fourth in a series about UTS's Project Tracking System. Check back next week to learn about the Site Managers Module. Manufacturing activities are invariably done at remote locations. Each vendor has the responsibility of manufacturing and dispatching multiple parts (sometimes thousands of parts depending on the size of the package) from the manufacturing site to the project plant site. PTS provides a simple and self-sufficient module for each vendor, allowing them to enter the status of every manufactured component and its shipment status and other relevant details such as LR/GR number. 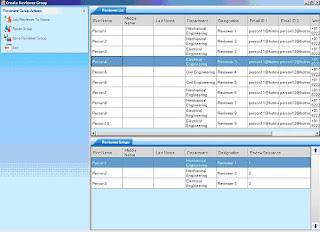 Manufacturers can also switch between multiple Projects and multiple Packages. The only things they receive are a web address, a username, and a password for accessing their web site. The DR Module (see last week's post) is accompanied by TK Solver, a powerful Engineering Calculations Module which aids in solving the most challenging engineering design problems. Design equations can be entered directly into TK Solver and solved instantly. Outputs and different sets of inputs for each design can be saved as part of every calculation model, allowing reviewers to instantly perform “what-if” calculations during the Design Review Process. TK Solver can accept up to 32,000 design equations and up to 32,000 variables in a single calculation. This module includes an Optimizer for performing non-linear optimization, Engineering Plots, Support for Tables, Advanced Units Conversion and List Solving. This post is the second in a ten-part series about UTS's Project Tracking System. Check back next week to read about the Manufacturer or Vendor Module. conveniently imported from a spreadsheet). Each reviewer can add their comments and upload relevant reference documents. Comments and documents flow through multiple iterations and can be conveniently accessed by other reviewers. 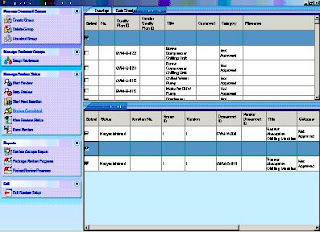 The system automatically tracks the documents’ status. Once the review is complete (all reviewers have approved the set of documents) the group is assumed to be complete and ready to send to the manufacturer or vendor. Check back next week for details on the Engineering Calculations Module.